May 30, 2018 – A televangelist minister wants to buy a $54 million jet to preach around the world. $54 million not to feed the poor, not to house the homeless, but for his personal use. Jesse Duplantis, 68, a jackleg Christian minister of the Jesse Duplantis Ministries and the Covenant Church, based in Destrehan, La., has had three private jets, but evidently, they have not been good enough. The Dassault Falcon 7X will do better. With a flight range of about a 6,000 miles, the Falcon can travel anywhere in the world with a single fuel stop. This seems to be important to Duplantis, because he does not want to pay the “exorbitant” price of Jet A fuel, about $8.144 per gallon here in the middle of Middle-America. To make matters more interesting, Duplantis wants to pay cash for the Falcon 7X and is asking his flock to put up the money in terms of donations. I just wonder how his following can be so duped into buying a personal jet for their charismatic leader. 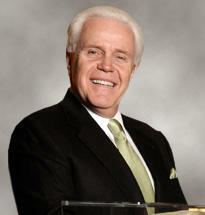 According to MajorNetWorth.com, “Often referred to as a con man, Jesse Duplantis is one of the earliest examples of television Christian evangelicalism and what is known as the ‘prosperity gospel’.” The ministry was worth about $40 million in 2016. This prosperity minister is noted for preaching, “If I give $1,000 dollars I deserve to get back $100,000 because I am just, that’s not greed!” It is greed and he is hoping for those $1,000 donations. Duplantis justifies his call for donations by telling his followers that if Jesus were alive today, he would be flying in a jet instead of riding a donkey. The New Orleans Times-Picayune reported that one of the underlying reasons for the purchase may be that televangelist “Kenneth Copeland, announced he had bought a new Gulfstream V jet.” The GV (pronounced “Gee-Five”) is worth about $50 million today. It seems that Duplantis did not want to be outdone. Now the Duplantis Ministry has done some good for humanity. For example, after Hurricane Katrina, the ministry rented homes, helped financially and fed displaced families. However, they are forced to do these things to maintain their 501(c)(3) non-profit designation. I am a pilot who started flying in a real Piper Cub when I was nine-years-old with my dad. I have sat on aviation and airport committees in Denver and Columbia, Mo. I sold aviation insurance. I am an advocate for general aviation and seek to promote it whenever I can. However, I am also a realist and an atheist and do not believe in the “Prosperity Gospel” preached by Christian charlatans like Duplantis and company. I cannot see where a Falcon 7X would feed the hungry, clothe the needy, house the homeless and give aid to the sick and dying. I know that Duplantis’ followers will not read this column. But the purpose is not to persuade them not to donate for such an unworthy cause. It is to start the conversation and maybe, just maybe stop another defiling of real Christian giving to those who need. This entry was posted in Christianity, Prosperity Gospel, Religion, Religious and tagged Christian, Christian Conservatives, duplantis, Ethics, falcon 7X, jet, ministry, Prosperity, Religion, Religious. Bookmark the permalink.